Hard to read but you get the idea. Apparenly designed for use on ships to keep the undesirables away. 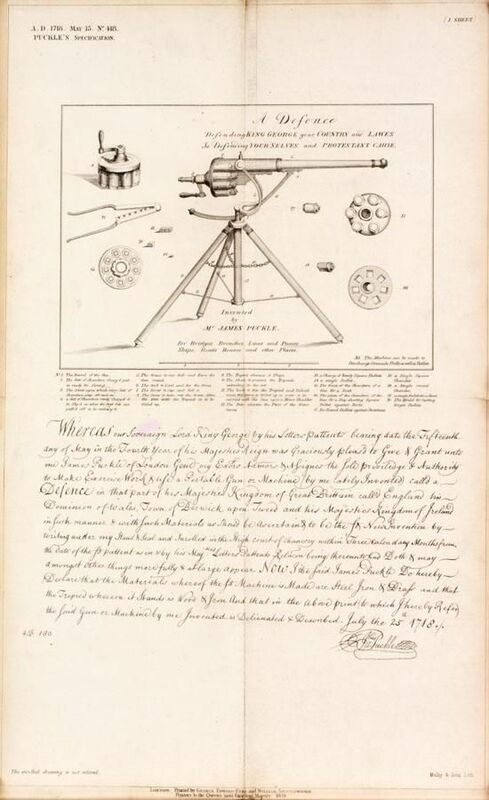 "A.D.1718, no.418, James Puckle, A Portable Gun or Machine called a Defence, that Discharges so often and so many Bullets, and can be so Quickly Loaded as renders it next to Impossible to to Cary and Ship by Boarding, printed 1854"